for $971,454. The lot size is 47.39 Acre(s). 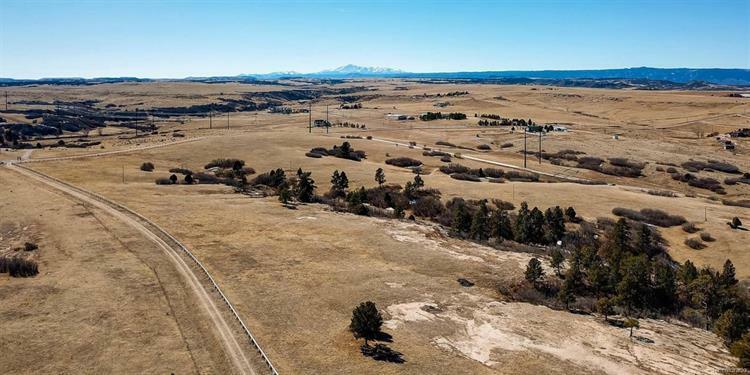 You Must See this gorgeous 47.5 acre lot, with spectacular views of Pikes Peak and the entire Front Range. 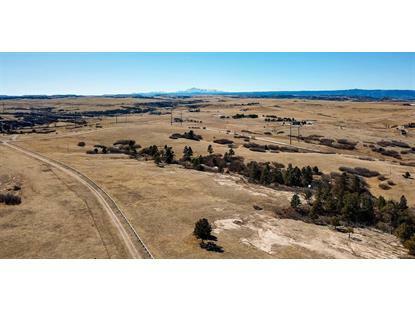 What an amazing opportunity to build in the quiet south side of Castle Rock that still gives you immediate access to downtown, shopping, amenities, and I25. This property boasts magnificent rock outcroppings, tons of pine trees and shrubs, and peaceful visitors of deer, turkey, and a variety of birds. The grassy rolling hills and partially fenced lot are quintessential Colorado. On the East, this Beautiful Property adjoins the prestigious 682 Acre Lost Canyon Ranch. Build your dream home with seclusion and privacy while still accessing everything from E Willow Creek Road, a private paved road! Facing South provides an ideal building site on an elevated portion of the property which features Front Range views and easy access to build. Don't Miss This One!!! The data relating to real estate on this web site comes in part from the Internet Data eXchange (IDX) Program of the REcolorado. Real estate listings held by firms other than Weichert Realtors are marked with the IDX logo and detailed information about them includes the Listing Broker’s Firm Name. The information contained in this publication is subject to change without notice. REcolorado. MAKES NO WARRANTY OF ANY KIND WITH REGARD TO THIS MATERIAL, INCLUDING, BUT NOT LIMITED TO, THE IMPLIED WARRANTIES OF MERCHANTABILITY AND FITNESS FOR A PARTICULAR PURPOSE. REcolorado. SHALL NOT BE LIABLE FOR ERRORS CONTAINED HEREIN OR FOR ANY DAMAGES IN CONNECTION WITH THE FURNISHING, PERFORMANCE, OR USE OF THIS MATERIAL. REcolorado. will not knowingly accept any advertising for real estate that is in violation of the law. All persons are hereby informed that all dwellings advertised are available on an equal opportunity basis.